Evelyn K. Wells’ Record of activities related to Dramatics at Pine Mountain Settlement School during the years fro 1913- until 1928. We remember an interesting succession of plays: Robin Hood in a real Sherwood Forest, Peter Pan, and The Piper with beautiful outdoor setting, Shakespeare done by children whose own speech was so often Shakespearean, The Pageant of Pine Mountain, given for the Board Members in 1919, with its episodes of Indians, early settlers Uncle William and the School, set against the Pole House Knoll where now the log cabin of Uncle William and Aunt Sal stands. The children wrote this pageant themselves taking whole school sessions to visit Uncle John and Aunt Sis and Aunt Sal to get the proper atmosphere and of course the properties were all real, the flint lock gun, the linsey skirt, etc. 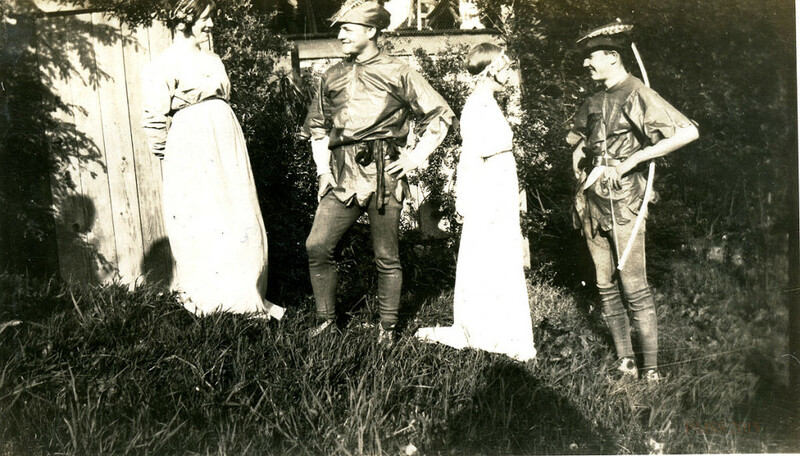 The naivete of early presentations of Twelfth Night and the Merchant of Venice was lost as the years went on, until we wondered in 1925 as we watched Orlando and Rosalind, if they could still be Pine Mountain children, so elaborate and smooth was the performance. 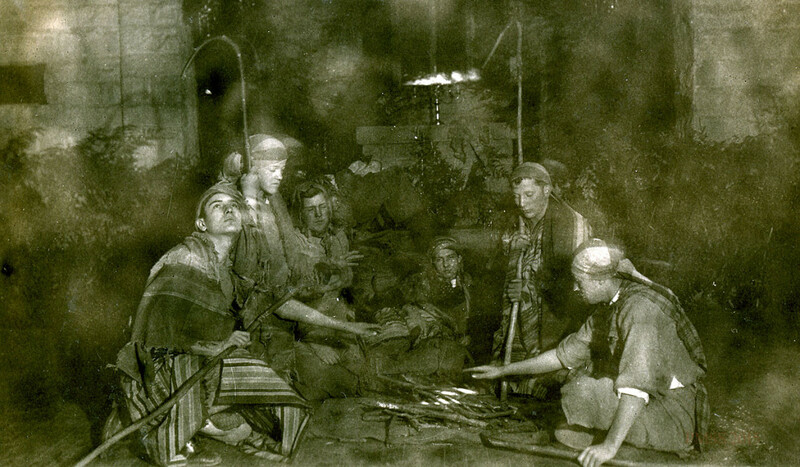 In 1927 the High School’s presentation of Sun-Up was memorable, showing the children’s real understanding of mountain characters. During the last five years we have made a deliberate effort to return to absolute simplicity in the matter of costumes and properties, that the children’s imagination might keep at work unaided, and they have responded well. We have been delighted particularly with the ingenuity of their impromptu charades. Worker’s plays have enlivened the long winters when the school family, penned up by bad roads and bad weather, could only turn in upon itself for diversion. The Rose and the Ring of 1922, the Queen of Hearts in 1925, A Welsh Honeymoon in 1927, are high spots in the light of our memory. The Christmas Play [Nativity Play]has evolved, like the early mystery plays, gradually, to its present lovely adaptability to our Chapel chancel, being first given in the House in the Woods, then in the School-house [Mary Sinclair Burkham School House I – II]. The present perfection of costume and lighting can never supplant for us who saw the beautiful and touching simplicity of the first manger scene when the shepherds wore raincoats turned inside-out and every character, in makeshift costume, was thoroughly living the part. The present play is partly the work of the children who have suggested and changed the lines from year to year and partly of Mrs. Zande who chose the scripture passages for the prophets and fitted the dramatic incident into the service list.